Is It Possible to Apply Wireless Internet to Skype Phone? As the primary limitation to Skype phone comes to the USB power cord, it has improved levels of difficulty in phone technology and devices design. With the popularity of wireless Internet, more and more remained problems in electronic products have been solved, especially for the portable electronics. As a matter of fact, although we can enjoy the convenience of multi-network, video conference and low expense from Skype phone, we still cannot consider it as a portable communication device as it is called USB phone. With having a phone call with skype mate on the computer, we should still be with the desk while choose a suitable skype mate according to certain Windows system like vista or Windows 7. If it is possible to apply wireless Internet to Skype phone, what will happen to us? First, we don’t need to stay with the laptop or desktop computer. 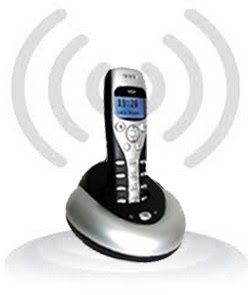 It can be seen that cordless phone like 160 feet USB cordless phone for Skype and USB phone adapter are more popular than any other USB phones in USB Phone World. It is obviously that how much will be provided to the manufacturers if wireless Internet is available to USB phone. Second, it will add more networks to Skype phone to achieve further communication. To be sure, it is the innovation in integration of Internet and telecommunication network that makes Skype and USB phone to be popular in a short period. Last, it will improve the competitive force of Skype phone to pit against iPhone. Doubtless, iPhone has won in the field of wap and handset network like 3G and even 4G. If the defects of iPhone 4 can be settled by wireless Internet, it is bound to be a strategic point for Skype phone in the way of development.